At E. Rogers Associates we believe in the conduct of research to advance our field as well as to document our successes. 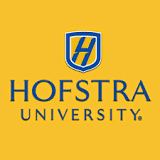 Over the years, we’ve collaborated with Hofstra University’s I/O Psychology faculty, combining their in-depth research knowledge with our immediate understanding of clients’ needs to drive research initiatives and gain critical insight into key Talent Management issues. Below are our publications.